The first large-scale particle accelerator in the Middle East has been generating brilliant synchrotron light since the summer of 2018. SESAME stands for “Synchrotron-light for Experimental Science and Applications in the Middle East”. 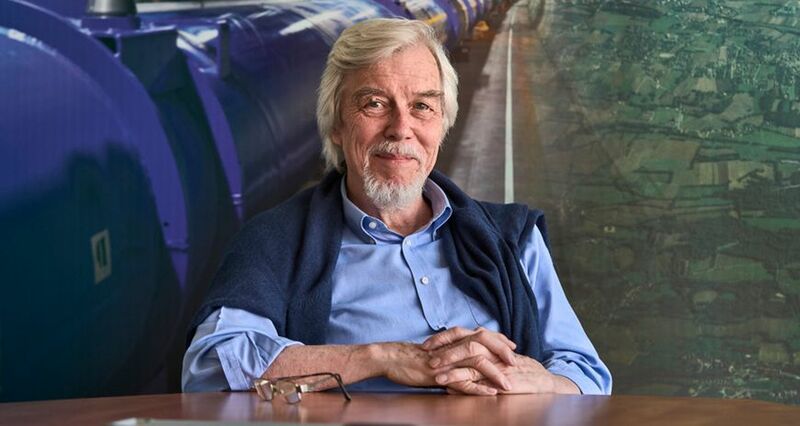 Former General Director of CERN, Rolf Heuer, is the chairman of the supervisory board for this unique joint project. SESAME is one of about 60 synchrotron sources in the world, and the only one in the Middle East. The region has many problems. How was the decision reached to build a particle accelerator there? Science can promote understanding among peoples, as our experience with the European Organization for Nuclear Research, CERN, in Geneva has demonstrated. Scientists speak the same language – the language of science – across cultural and ideological borders. SESAME should be able to contribute in a similar way. Why a synchrotron radiation source and not a different large-scale scientific project? A particle accelerator that produces synchrotron radiation was an obvious idea because this type of radiation is a fantastic instrument for a variety of research fields. The spectrum of applications ranges from physics to chemistry to biology and medicine to archeology. With SESAME, we have been able to create a facility that helps many researchers in the region. Some of the countries involved are in financial straits, and some of their science budgets are very small. What convinced them to invest in the project anyway? Projects of this type always need people who are willing to shoulder the burden and drive the idea forward systematically with tremendous dedication. It wasn’t easy. There are two things that helped, though: When individual national budgets are small, it makes sense to join forces. Another important argument was that a system such as SESAME would help counteract the brain drain, or the emigration of talented young scientists to other parts of the world. It could even generate a brain gain. SESAME, like all other systems of this type, is open to all scientists. The first big call for applications received almost 100 responses. That is unusually high for only two beamlines. It shows how great the interest in the region is. And, of course, a lot of people are working on getting the system up and running. We also consider it a very positive sign when one of the employees trained at SESAME goes to another synchrotron source. It shows that the training is working. Who is involved in SESAME? Cyprus, Egypt, Iran, Israel, Jordan, Pakistan, the Palestinian territories, and Turkey. How much is each of them contributing financially? The contributions are according to the economic output of each country and therefore vary widely. The total budget is about five million euros per year. The largest contributors give just under one million euros. The lowest contribution is 50,000 euros per year. Unlike CERN, SESAME is financed with sums that are not renegotiated each year, but instead are fixed for the long term. Do the sanctions against Iran affect SESAME? Scientists from Iran have no problem traveling to Jordan and doing research there. But the sanctions have made it very difficult to transfer money from Iran. That is the main problem we have here. Why was Jordan chosen as the site of the facility? There was a competition, and Jordan’s bid was ultimately accepted. Jordan’s advantage is that scientists from all the countries and regions involved can travel there. That is not always the case for many other countries in the region. Jordan also provided the land and some of the buildings. The project has the full backing of the government and the Royal Court. What did Germany do to support the construction of SESAME? From the very beginning, German scientists have been involved in the construction. The decisive trigger that led to the actual implementation of the project was the decision to use Berlin’s BESSY I synchrotron source, which had been shut down in 1999, as a pre-accelerator for SESAME. This suddenly gave the project the hardware it needed. Helmholtz is still involved in the project, and an important contribution is the many scientists that work on Helmholtz synchrotron sources. A delegation from Helmholtz recently visited SESAME. The Helmholtz president took this opportunity to announce an investment in the project of more than 3.5 million euros for an additional beamline. The visit also generated a few interesting ideas for research projects at SESAME, and we hope to hear more about them soon. Scientific cooperation between countries on opposite sides of political crises is relatively common. What is your experience with such cases? My experience has been extremely positive. At CERN, I would constantly see how people from hostile countries or regions performed research together and explained their work to each other. You often just shake your head and smile. I am convinced that it has a very positive effect, even though it won’t bring about peace by itself of course. You also learn a great deal from other cultures. You learn how to tackle everyday problems in a way that is completely different from what you’re used to. It is very rewarding.